Hope is a semi-dory built according to plans supplied by John Karbott. 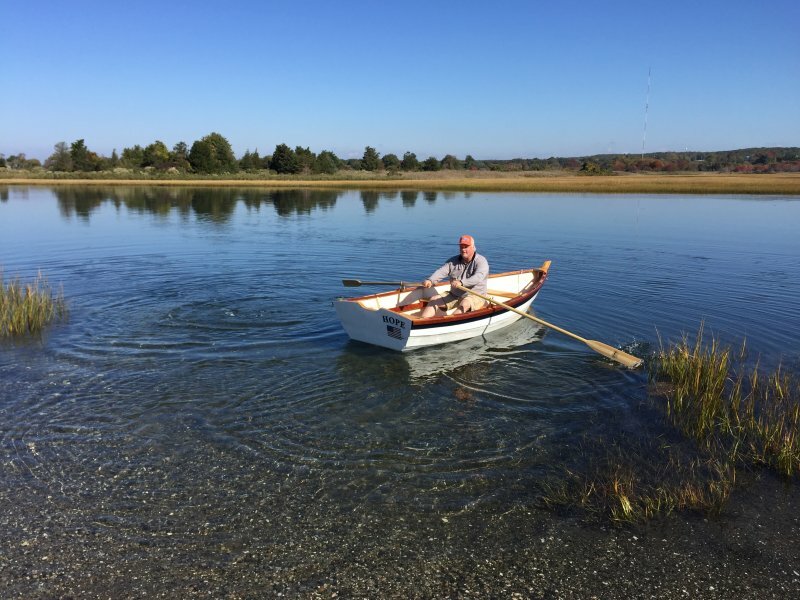 She will be rowed and powered by a 5hp outboard on the Westport and Sakonnet rivers. This is my first boat. It took six months to complete, and was a perfect complement to my work as a psychologist! Can’t wait to build the next one.